Three Sisters Backcountry and the Oregon Avalanche Institute will be in full operation this winter. 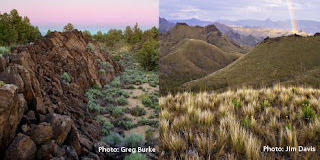 Check out our new websites: www.threesistersbackcountry.com and www.oravalanche.org. We will be renting out Yurts in awesome ski terrain, teaching avy courses and guiding trips. I hope all is well and look forward to skiing with some of you this winter. 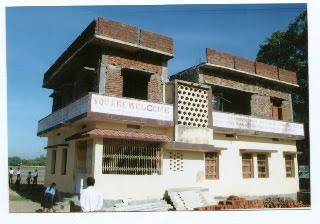 now in the process of completing the 2nd foor of our little school. Hope you can make it to the event and bring your family and friends too! Did you know that Green Drinks is an international movement with nodes all around the world? There are nodes in virtually every country from Algeria to Vietnam! Green coffee???? Come to Strictly Organic Coffee, affectionately called "Strictly O", for September's Green Drinks! This is Bend's coolest, hippest, most sustainable business networking around, so join us for a green cup of goodness. In an effort to have a truly "green" drink, bring your own cup! For more information, contact Katy Bryce at 541-385-6908 ext. 16. Please be advised the South Fork trail (South Fork of Tumalo Creek) will have Forest Service and COTA crews working on a bridge replacement project Monday through Friday the week of Sept 14th - 18th. Please avoid the South Fork trail during this time. The work crews will be working with heavy log moving equipment and do not need to be interrupted by trail users. There will also be a short relocation of the trail to better match the flow of the new bridge and given the dry conditions the trail will not benefit from trail users at this time. Please respect this request and use alternate routes in the area. This project will replace a bridge that is collapsing due to age. The replacement will be done with a single log stringer which will be flattened on top to provide an 18" trail surface. The log will not have a handrail to facilitate riding for those that seek the challenge. This rideability of this bridge was important aspect negotiated and agreed to between the FS and COTA. 9/23 Deschutes County Commissioners on COTV "Talk of the Town"
Poor Mans Whiskey is performing “Dark Side of the Moonshine,” their very own interpretation of Pink Floyds infamous album, Dark Side of the Moon. 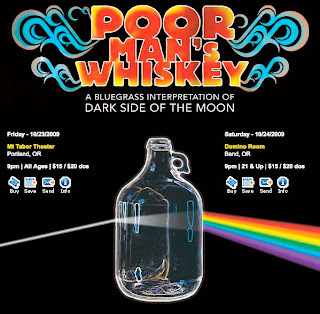 A full laser light show, Wizard of Oz Theme and much more with 3 Sets of music from Poor Man’s Whiskey. The Bay Area's bluegrass badasses bring a reputation for high-energy live shows and an incomparable fusion of folk, punk, rock, and disco to stages and festivals nationwide. This "High-Octane Hootenanny" will certainly delight those interested in a foot-stompin good time. Poor Man's Whiskey has evolved into a ragged, spontaneous beast pulling from equally deep wells of story-telling originals, expertly crafted covers and zany on-stage shenanigans. We will meet at the Park and ride(Colorado & Simpson) by 9 a.m., then divide into work parties. Food and beverage will be provided to all volunteers at the BBQ. Remember to bring plenty of water, safety glasses, gloves, sturdy shoes, sunscreen and lots of friends. 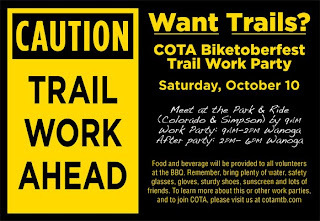 To learn more about this or other work parties and to join COTA, please visit us at cotamtb.com. Summer came and went more rapidly than many would have hoped. News from our/your children in Zambia is that as we start the school year, they are beginning their "summer break" for the next couple of months. 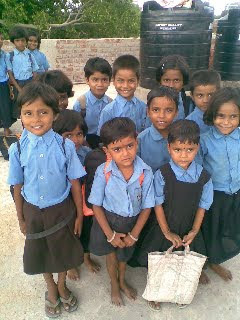 All the children have completed the grades they were attending and continue to grow. Each week Mrs. Winnie comes to teach them new skills: reading, writing, sewing, woodwork, jewelry-making, gardening and cooking. While at first the children were shy with her, they now cannot wait for her weekly visits as they look forward to all the new things she is teaching them. As soon as we process the photos of this summer, we will prepare and send out an updated newsletter. In the meantime, several exciting and important events have been organized that we hope you will be able to attend and support. Two of the major events are listed below, with more information available on our website. Attached is a more comprehensive CALENDAR OF EVENTS - we hope to see you at one, some or best of all ALL of the events! 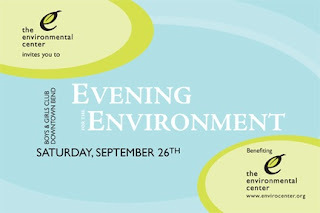 Produced and directed by Alistair Paterson the evening will be a blend of inspirational stories of local individuals and organizations, augmented with uplifting musical and choral presentations. Featured individual "honorees" include Cole Ortega, Mimi Ausland, Rachael Scdoris, Bob Maxwell, Beth Basham, Bob and Cheryl Shaw, and Jim and Debbie Fields. Also being honored will be Malerie Pratt and Marlena Bellavia, the founders of Vima Lupwa in Zambia, CORIL - the Central Oregon Resources for Independent Living, and the Cascade Youth & Family Center. The show officially starts at 7pm but attendees are encouraged to arrive early to enjoy a special slide show prologue of "The People & Places of Bend" showcasing the unique photographic talents of Jill Rosell. Starting on September 15th a limited number of tickets will be available from the Tower Theatre box office. Local tattoo artist Dirk Spece tag teams with local radio show host and crypto-zoologist Alex Reisfar in an artistic journey to lesser explored corners of the human psyche this month at Thump Coffee in downtown Bend. Throughout September, Spece displays his woodcut prints, and he invited Reisfar to exhibit his paintings on glass, as well. Reisfar was born in Romania, and orphaned when his mother, an oil painter, was killed in a logging accident. Adopted by a Bend couple at age 2, he grew up here with a working woodcarver, Tristan Reisfar, for an adoptive father. “I think a fear of death, brought on by the loss of my mother at such a young age, was for me the main drive in wanting to become a great painter,” says Alex Reisfar. 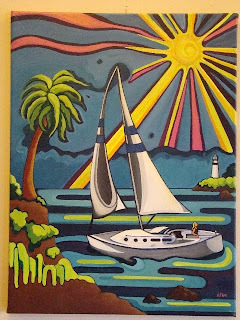 For more about Alex Reisfar, his art and his radio show on KPOV 106.7 FM, “The League of Anarchist Crypto-Zoologists,” visit Alex Reisfar’s website. Mother’s Juice Café in Bend is making a commitment to support the local arts community by featuring rotating monthly visual art exhibits. 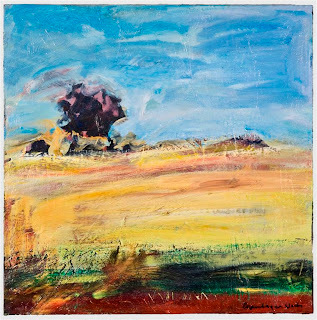 In September, Tumalo artist Lisa Copenhagen Wachs shows a collection of new oil paintings. Owners Mike and Janet Sackin, who bought Mother's Juice Café one year ago, are committed to supporting the local arts community by providing this opportunity to local artists to showcase their works. “My background is landscaping, and incorporating art into our lives is a natural part of who we are and what we want Mother’s Juice Café to be,” explains Mike Sackin. 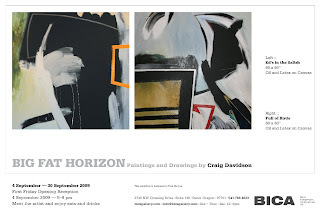 Craig Davidson is a graphic designer and painter who holds a BFA in Graphic Design at Montana State University and a MFA in Graphic Design at the Rhode Island School of Design. Davidson's working process often begins with a word, phrase or fragment of a poem written in journals and on post-it notes. At other times, a piece begins in response to an initial series of marks, a field of color or the relationship of shapes. The surface of his works become heavily layered which simultaneously conceals and reveals previously completed compositions, akin to a pentimento effect. Davidson will be exhibiting 60 x 60" and 16 x 20" oil and latex on canvas paintings as well as a series of 8.5 x 11" ball point pen drawings at BICA. Please join us for the opening reception this Friday, September 4th from 5-9 pm. Craig will be in attendance to answer questions and discuss his artwork. Show runs thru September. Not a property management company, just real Bend people seeking good renters for our home. Dog-friendly, people-friendly, comfy, modern three-bedroom, two-bath home with large, fenced-in backyard yard and attached two-car garage and storage shed. Bend’s new Wildflower Park is a block away. 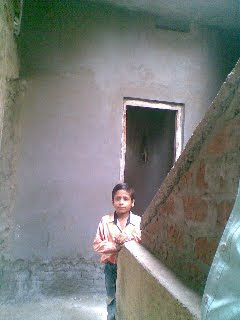 The street is very quiet and the neighbors are mostly families. Clear Choice Health Plans, St. Charles Medical Center and the hub of Bend’s health care community are less than a mile away. Public bus, shopping, schools, sports fields are all nearby. $900 per month (+ security/pet deposit), 12-month lease preferred. "Rent to Own" lease option agreements also considered. Well mannered dog welcome, and other reasonable requests open for discussion. Available October 1. Call Harold at 541.815.9829. You're going to love coming home!